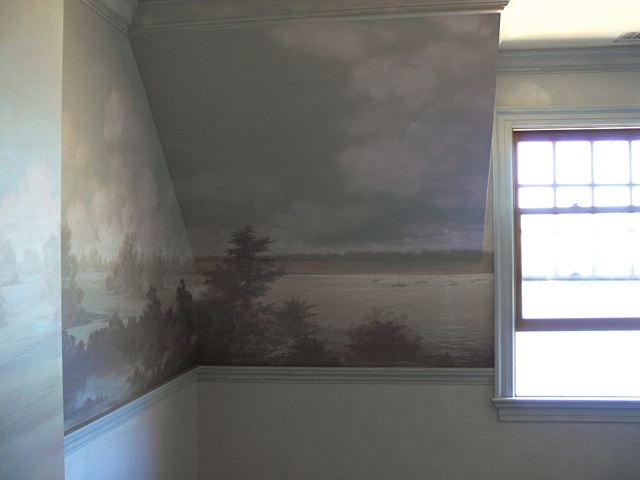 The mural in this Shelter Island bedroom follows the view from outside the window. 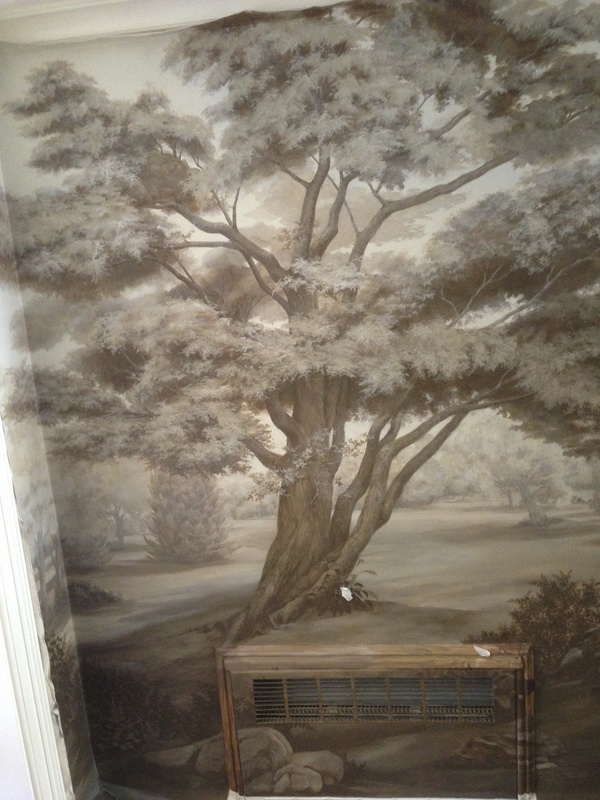 It was painted in a grisaille, or shades of grey, with additions of blue as accents. 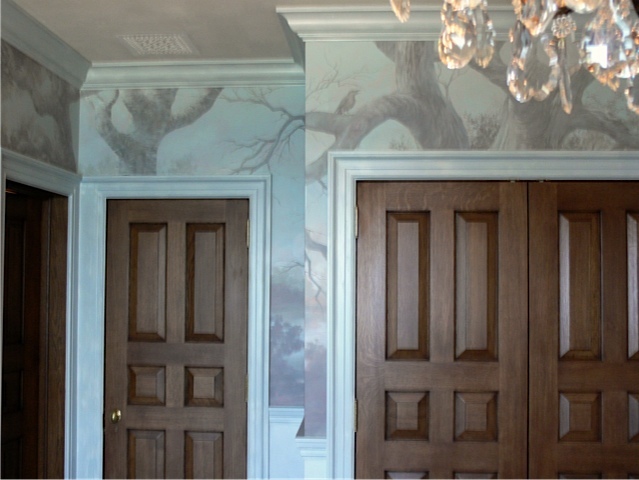 The second project is a Greenwich house, with the hardwoods of the northeast.